Chris’ Heritage Dips are the perfect snacks to have in your fridge this Easter. We all know it’s the weekend of the pop in, so let’s make sure we all have something on hand to feed our guests. Creating an Easter-themed grazing platter for when friends pop over for a drink could not be simpler with Australian owned and made Chris’ Heritage Dip range. A few steps will get you out of the kitchen and entertaining on the couch thanks to their terracotta serving pots and delicious flavours such as Vintage Cheddar & Caramlised Onion or Blue Cheese, Fig & Pistachio. 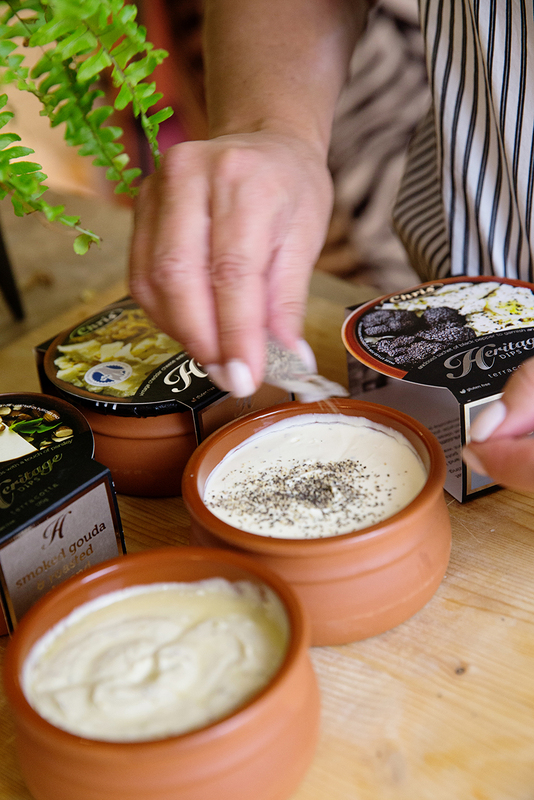 All you need to do is grab a wooden chopping board, select your four favourite flavours of dips, pita or Turkish bread, rosemary rock salt and a selection of crackers. Making your platter abundant with bread and crackers means you can really make the most of these delicious dips. And by adding a few eggs and nests to my wooden board, I was able to keep to my Easter theme, because you know I love everything to match! Perfect pots for single size dishes, create your favourite bake or pie ahead of time and freeze for a simple mid-week meal. Paint your pots any colour you like and use the vessels for homemade candles. Or even float tea lights in them. Pots are microwave, oven, and dishwasher safe, making them perfect for pasta bakes! They make great hanging planters – very on trend! Chris' Heritage Dips are found in the deli in Woolworths and the chilled aisle of Coles and Independent Supermarkets.